Need help choosing a present for someone? 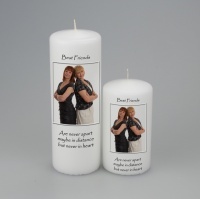 Then why not treat them to a picture candle. 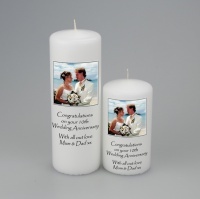 Using our easy file upload facility you can have a unique and long lasting gift idea for that special occasion. Perfect for Anniversaries, Birthdays, Christmas, New Baby, Valentines or simply any occasion special to you. 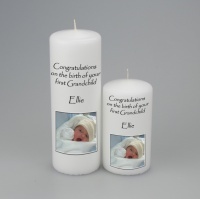 Why not design an image to have on your candles, your child’s first painting for example would be treasured by all your family and friends, simply scan the photo and upload, the possibilities are endless and you will have something truly unique! !.